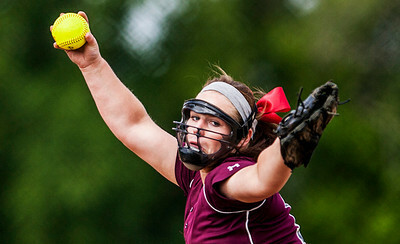 Kyle Grillot - kgrillot@shawmedia.com Marengo's Mariah Dionne pitches against Belvidere during the first inning of the Class 3A Marengo sectional Wednesday in Marengo. 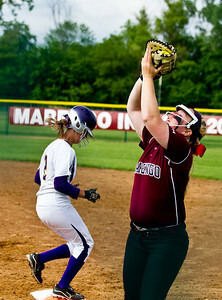 Marengo beat Belvidere, 9-1. Kyle Grillot - kgrillot@shawmedia.com Marengo's Taylor Carlson swings for a pitch during the first inning of the Class 3A Marengo sectional Wednesday in Marengo. Marengo beat Belvidere, 9-1. 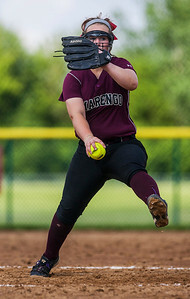 Kyle Grillot - kgrillot@shawmedia.com Marengo's Mariah Dionne pitches against Belvidere during the third inning of the Class 3A Marengo sectional Wednesday in Marengo. 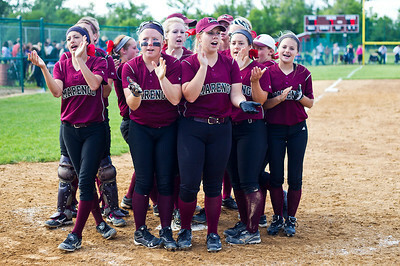 Marengo beat Belvidere, 9-1. 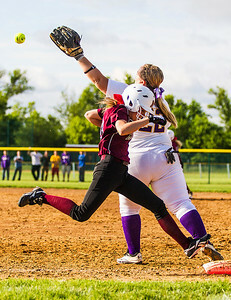 Kyle Grillot - kgrillot@shawmedia.com Marengo's Abby Kissack (right) catches Belvidere's Teagan Toft's fly ball during the fifth inning of the Class 3A Marengo sectional Wednesday in Marengo. Marengo beat Belvidere, 9-1. 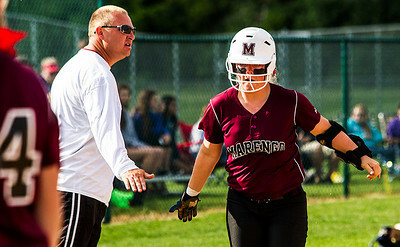 Kyle Grillot - kgrillot@shawmedia.com Marengo's Mariah Dionne rounds second base after hitting a home run during the fourth inning of the Class 3A Marengo sectional Wednesday in Marengo. Marengo beat Belvidere, 9-1. 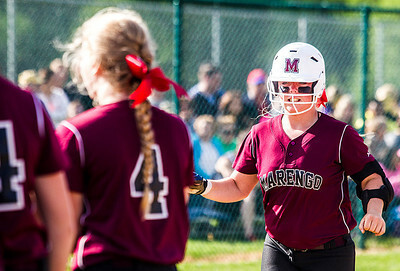 Kyle Grillot - kgrillot@shawmedia.com Marengo's Abby Kissack runs towards home base to celebrate with her teammates after hitting a home run during the fifth inning of the Class 3A Marengo sectional Wednesday in Marengo. Marengo beat Belvidere, 9-1. 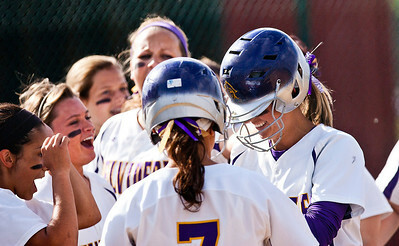 Kyle Grillot - kgrillot@shawmedia.com The Belvidere team celebrates with Teagan Toft (right) after she hit a home run during the fourth inning of the Class 3A Marengo sectional Wednesday in Marengo. Marengo beat Belvidere, 9-1. 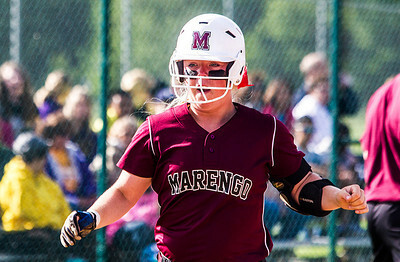 Kyle Grillot - kgrillot@shawmedia.com Marengo's Abby Kissack runs towards home base to celebrate with her teammates after hitting a grand slam during the sixth inning of the Class 3A Marengo sectional Wednesday in Marengo. Marengo beat Belvidere, 9-1. 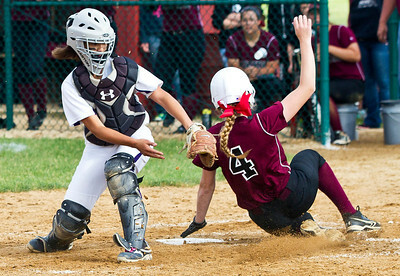 Kyle Grillot - kgrillot@shawmedia.com Belvidere's Alayna Weber attempts to tag Marengo's Trinity Martin out as she slides into home plate during the sixth inning of the Class 3A Marengo sectional Wednesday in Marengo. Marengo beat Belvidere, 9-1. 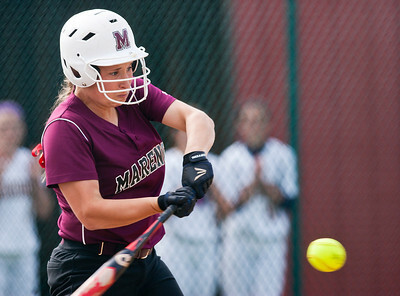 Kyle Grillot - kgrillot@shawmedia.com Marengo's Trinity Martin is forced out at first by Belvidere's Cheyanne Stowers during the seventh inning of the Class 3A Marengo sectional Wednesday in Marengo. Marengo beat Belvidere, 9-1. Kyle Grillot - kgrillot@shawmedia.com The Marengo team celebrates after beating Belvidere in the Class 3A Marengo sectional Wednesday in Marengo. Marengo beat Belvidere, 9-1. 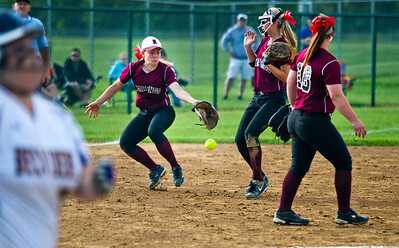 Kyle Grillot - kgrillot@shawmedia.com Marengo's Allison Jasinski (from left), Leah Secor, and Mariah Dionne error while going for a fly ball during the seventh inning of the Class 3A Marengo sectional Wednesday in Marengo. Marengo beat Belvidere, 9-1. 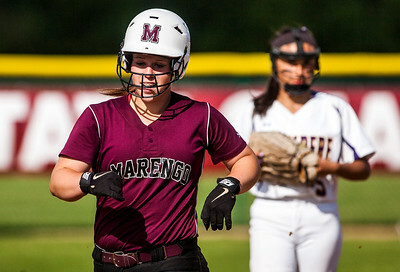 Marengo's Mariah Dionne rounds second base after hitting a home run during the fourth inning of the Class 3A Marengo sectional Wednesday in Marengo. Marengo beat Belvidere, 9-1.